There is nothing we love more than that Friday feeling, let your hair down and party the weeks stresses away. Sounds good? But the funds are short this month? 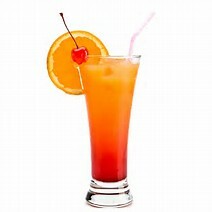 Why not get the party started with a bang, and try our easy cost effective cocktails. A night out can cost a bomb and especially around this time of year. We can’t afford to pay the over the top prices for a Cocktail. Our answer to this common dilemma is DIY. My top 5 DIY cocktails. 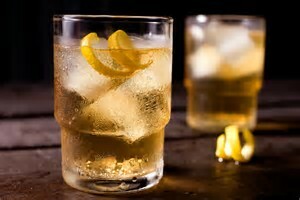 Pick up a ginger ale six-pack for a few pound and grab a bottle of whiskey and you can mix up the “Highball” of all highballs for a few days. You’re looking at £18 or less depending on your whiskey of choice. When the budget is tight, that sounds pretty good for a week’s worth of drinking! And if you add lemonade you can make a Presbyterian! This cocktail is ridiculously easy to make and it comes out looking pretty yummy too. WKD Blue, port, vodka. Mix together the bottle of WKD with 50ml of Port. Then add 25ml of your Vodka. Easy as! So we will admit this one is more of a shot than a cocktail, but this is the best-tasting shot that will ever grace your taste buds. You won’t be screwing your face up in disgust when you knock this one back! And the best thing is you only need a bottle of blackberry liquor, double cream and some sugar. 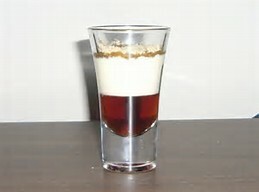 Fill the shot glass 3 quarters full with black berry liquor, top up with cream. Sprinkle a little sugar on top, knock it back and enjoy, if you’re feeling fancy why not try dressing it with a mini Jamie dodger. Woo woo is a Weatherspoons favourite, but you can make this easily from home too and it’s cheaper. 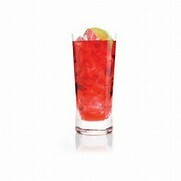 Peach schnapps (my favourite), vodka (also my favourite) and 50ml cranberry juice. Simple! 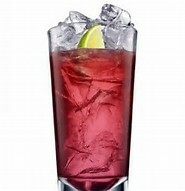 Mix them together – add the vodka and peach schnapps first, followed by the cranberry juice. WOO WOO Enjoy! We hope you enjoy these cocktails and always remember to drink responsibly!